Headquartered in Switzerland, the client is the largest food company in the world. With 447 factories, in 194 countries, the company owns more than 8,000 brands across many markets including coffee, bottled water, infant foods, soups, sauces and pet food. The sales team’s monthly audit process was taking approximately fifty minutes per store, leaving very little time for valuable in-store execution tasks. Their primary goals were to decrease the time spend preparing, measuring and identifying issues, and invest more time into revenue enhancing activities. 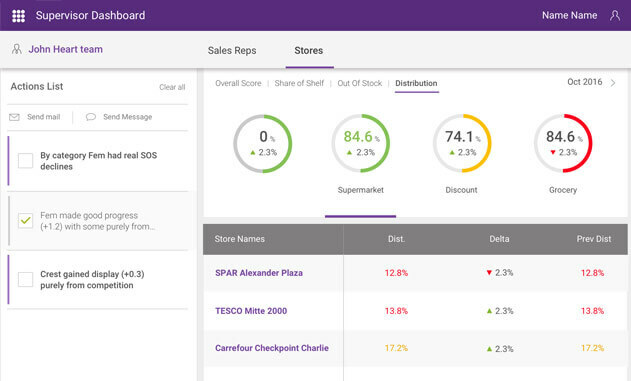 Trax worked with the client to implement the Trax Retail Execution solution for more than five-hundred sales reps in the UK and Ireland, primarily to track share-of-shelf, distribution, and out-of-shelf metrics. Using Trax Retail Execution, the client reduced data capture and store assessment times by 50% and 16% respectively. The Trax Retail Execution solution enabled the client account reps to invest 40% more time into store execution activites. The client achieved over 50% time saving per store per user per month to measure share of space. The head office teams now have visibility in every store and each category. Data collected is also leveraged across functions - Sales, Category, Supply Chain, Range & Merchandising and Marketing.